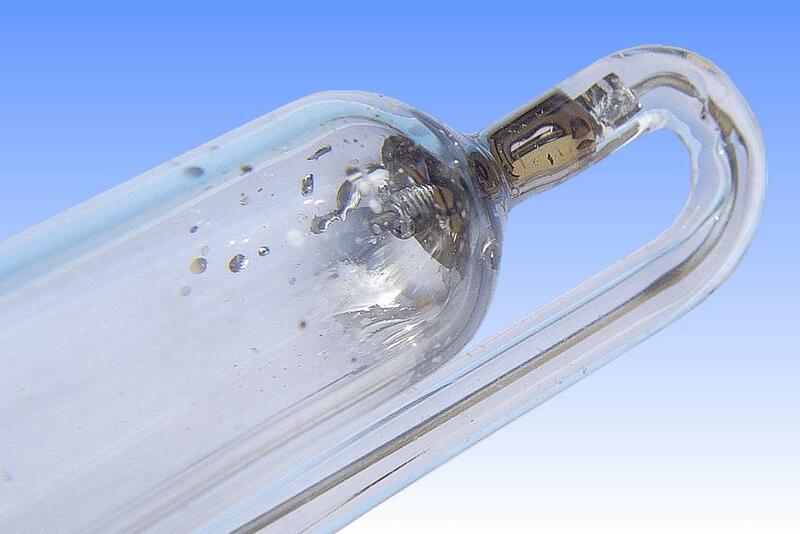 The high pressure mercury lamp is a very convenient light source in the laboratory. 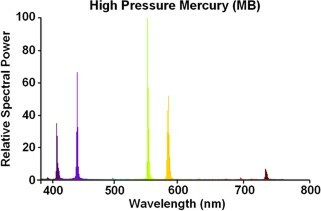 Not only is it a useful ultraviolet and line-emission spectrum reference, it also has a number of projection applications in particular where monochrome images are being projected. 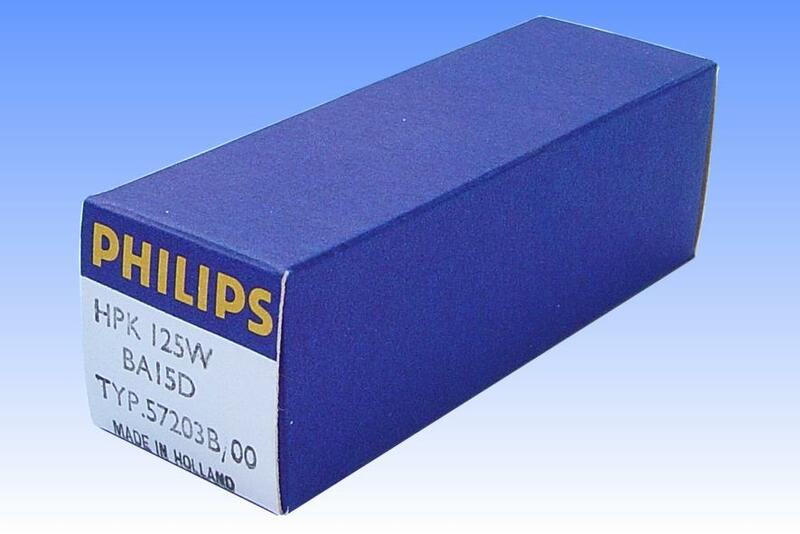 The HPK series of lamps have a long history dating back to the late 1940s, when they were introduced by Philips to provide a stable and convenient laboratory source of the mercury spectrum. 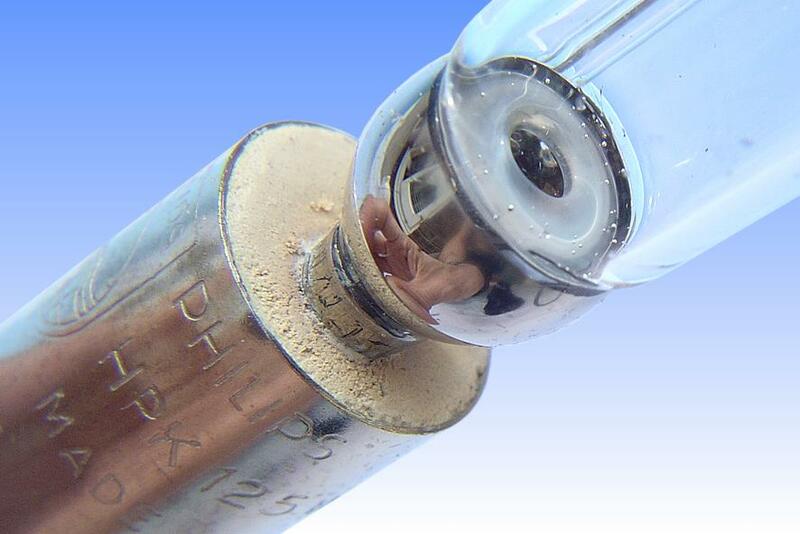 It has a quartz arc tube loaded at 42W/cm and operates at a pressure of 8-10 atmospheres. Three lamps made up the original family, types HPK 80/L, HPK 125/L and HPK 125/R. Type /L lamps are designed for operation on an inductive choke, while type /R is optimised for a resistor ballast and could be over-driven up to 3 amps. The most notable feature is that there is a diaphragm pierced by a small hole at one end of the arc tube just ahead of the electrode, and this serves two purposes. Firstly should the arc root position change on the electrode, the main arc will still be constrained in the point between the diaphragm thus flicker is greatly reduced and the arc does not swirl around. Secondly, much of the material sputtered and evaporated from the electrode does not travel through into the centre of the arc tube. Nearly all of the blackening takes place in the end chamber thus the light output from the central arc region is almost unchanged during lamp life. 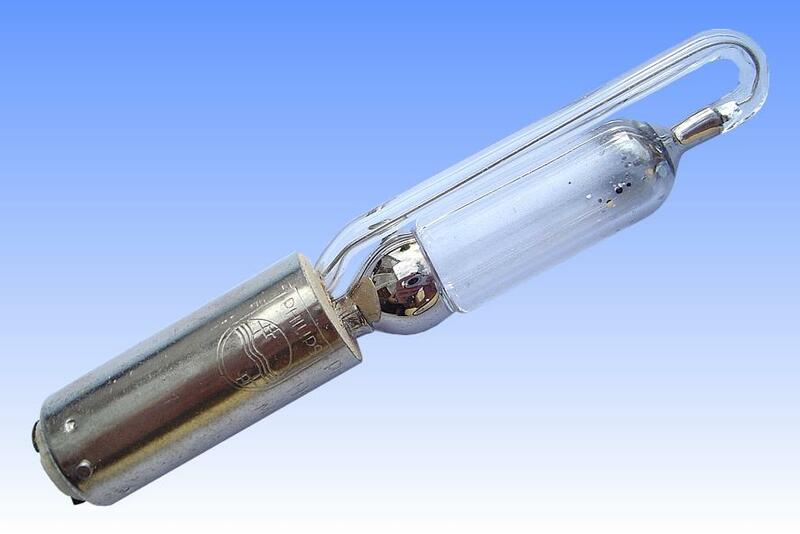 The lamp is hand made throughout, with very long molybdenum foil seals terminating in a cold region inside the extended metal base to prolong service life. Both end regions are coated with platinum paint to conserve heat.